Cents of Style – Grab Bags as low as $9.98 + Free Shipping! Don’t miss this opportunity to grab this fun and unique offer from Cents of Style — they are doing Grab Bags! 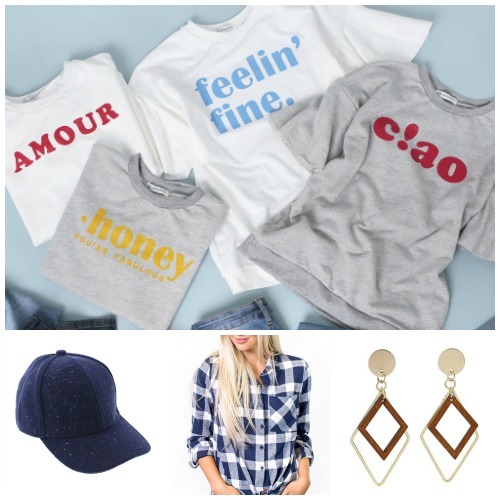 Pick up from these 3 options — grab 2 accessories for $9.98 -OR- 2 clothing & 2 accessories for $19.98 -OR- 4 clothing & 2 accessories for $34.98 with FREE shipping when you use the promo code GRABBAG50 at the checkout! Grab bags will include shirts, tops, skirts, pants, kimonos, lightweight sweaters or jackets…the accessories can be hats, sunglasses, jewelry, scarves, hair ties, socks and the list goes on! These are always very popular and well loved!